Beckman Coulter FC500 Cytomics MPL Flow Cytometer w/Cytometry UPS . New Life Scientific, Inc.
() Assorted CD’s and Manuals and some replacement parts as shown. The Beckman Coulter FC500 Cytomics MPL Flow Cytometer did not power on. The techs got a green light on the back but otherwise no signs of life. 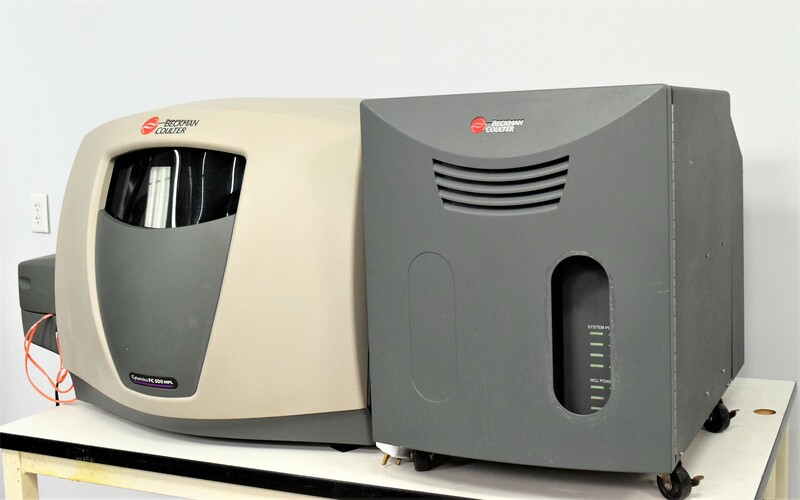 Our in-house technicians did a visual inspection on the Beckman Coulter FC500 Cytomics MPL Flow Cytometer and found it to be in good cosmetic condition with some minor wear. The plexi glass on the UPS is missing, but it came with several spare parts as shown in the photos. The technicians tried to power it on, they did a green light to show on the back but no life was to be had from the system.